Prolix will be a familiar name to most hardened Drum and Bass heads, with a back catalogue that has seen releases on some of the most prolific and respected labels in the industry such as RAM, Playaz & Ganja Tek, VISION, Shogun, Blackout, Renegade Hardware, Metalheadz, Viper, Virus and more recently WSLA/MTA. His unique style of production has achieved international recognition filling Prolix with the courage he needed to establish his own imprint in 2011; cue the birth of the mighty Trendkill Records. 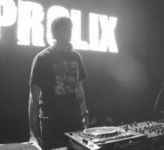 As his reputation has grown, Prolix has found himself collaborating with an array of top artists from across the genre such as Noisia, Misanthrop, and Icicle, as well as remixing the likes of Ed Rush and Optical, Black Sun Empire and Chase and Status. It was with his work for the latter that led to an introduction to d&b pioneers DJ Hype which began the conception of Ganja Tek for the sole purpose of releasing his distinct sound. Since then, Prolix' production has gone from strength to strength, securing radio support from several BBC radio DJs including Friction and Mary Ann Hobbs. One of his most seminal releases to date was the visionary crowd funded 'Project Trendkill' Album, a collaboration with Gridlok which soared to the top of the download charts and into every self respecting DJ’s record bags the world over. Teaming up with Gridlok had previously come up trumps again, drawing the attention of RAM Records head honcho Andy C, with their debut 12" of 'Membrane' and 'Babylon' devastating soundsystems worldwide. Other landmark releases for Prolix include 'Crater' on Renegade Hardware with Nocturnal, 'Asteroids' on VISION with NOISIA, 'On Like That' EP with MC Coppa, and the 'Transcendent' EP on Trendkill featuring collabs with Misanthrop, Mob Tactics, Rido, Meth and MC Coppa again. Trendkill is continuing to gather a strong and dedicated following release after release. This really is one to watch for the future. Having toured America, Canada, Australia and New Zealand, Prolix is well known for his high energy, floor-filling DJ sets. As well as doing his own headline shows accross Europe, he has also shared the stage with some of the top names in drum and bass including Chase and Status, Subfocus, and Pendulum.